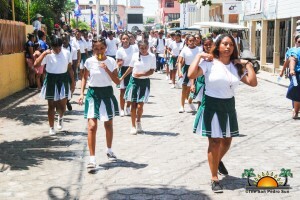 uniform parade. Despite inclement weather threatening to dampen the celebration, islanders proceeded with the program of events, starting at 10AM with an official ceremony at the Central Park. 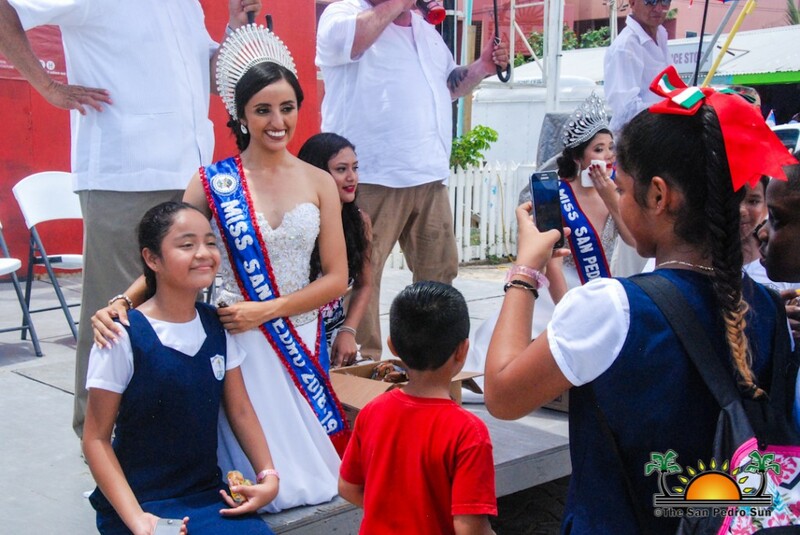 Under a light rain, a multitude of students and citizens witnessed the official coronation of Muñoz as the new Miss San Pedro 2018-2019. 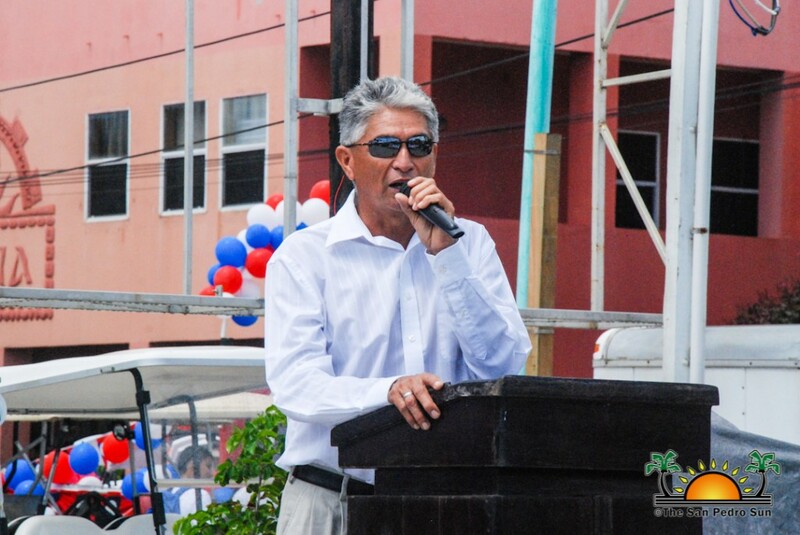 Following the coronation, Mayor Daniel Guerrero delivered a few remarks reminding residents of the importance of the holiday. 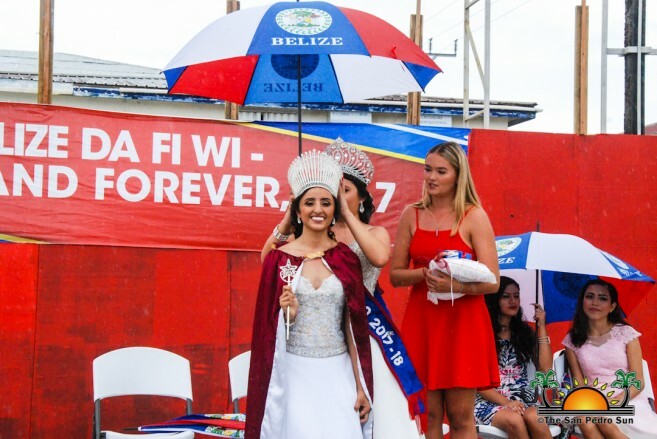 He cited this year’s national celebration theme ‘Belize Da Fi Wi-Now and Forever, 8867,’ and mentioned that thanks to the Battle of St. George’s Caye, which took place on the 10 th of September 1798, Belizeans today have a country. 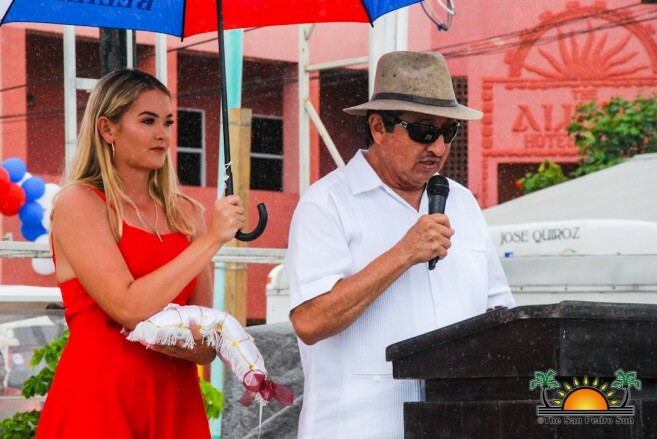 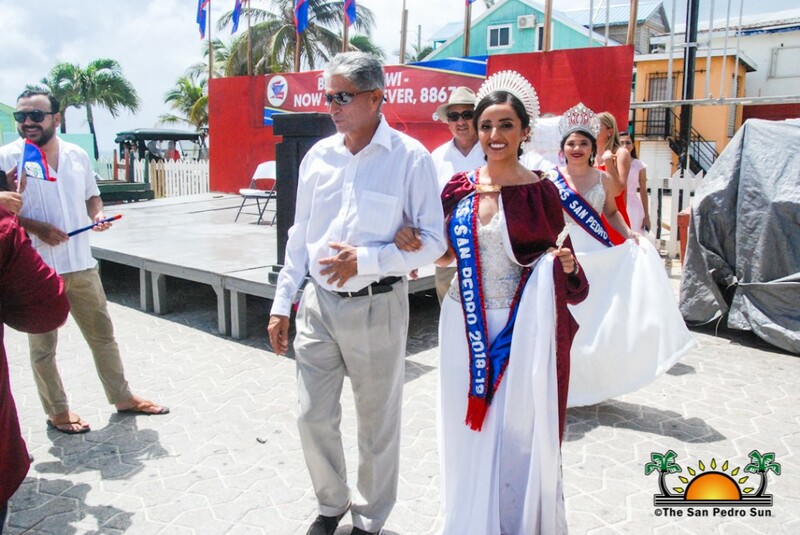 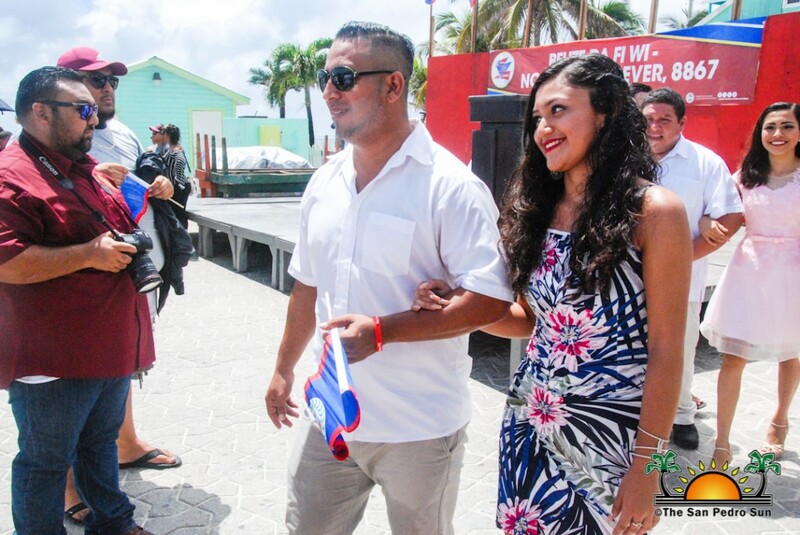 Guerrero invited everyone to continue the legacy of our Forefathers, the Baymen, who over 200 years ago fought for the freedom of what is now Belize, from the invaders of the Spanish empire. 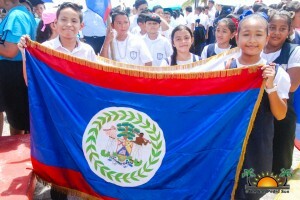 honors the foundation of Belize. 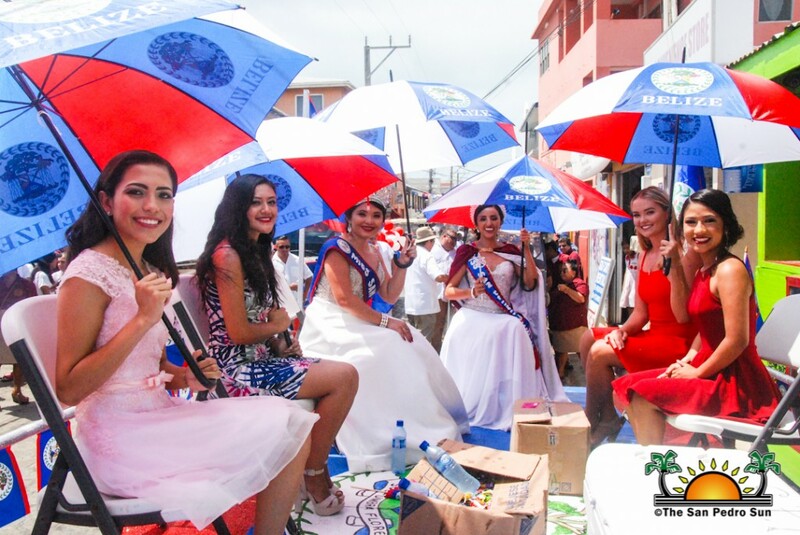 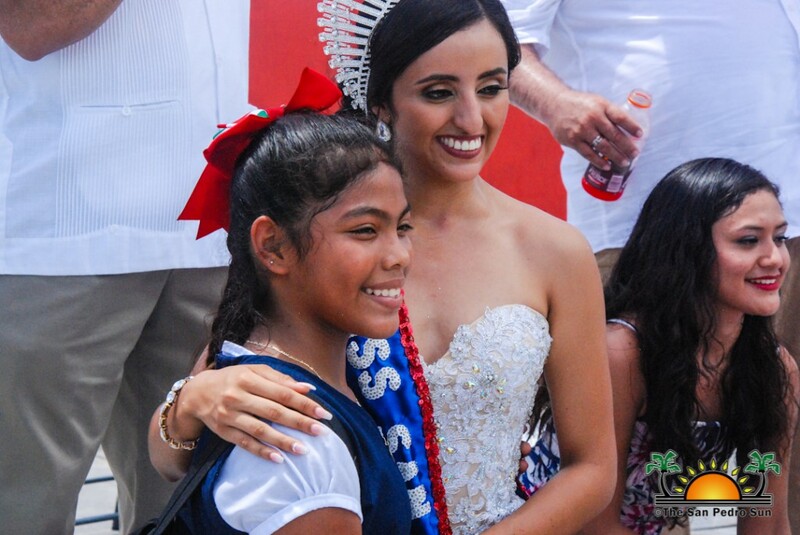 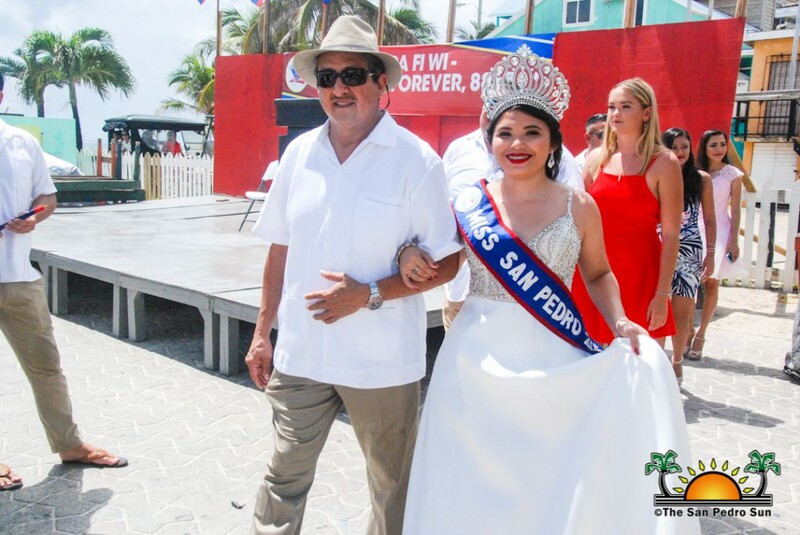 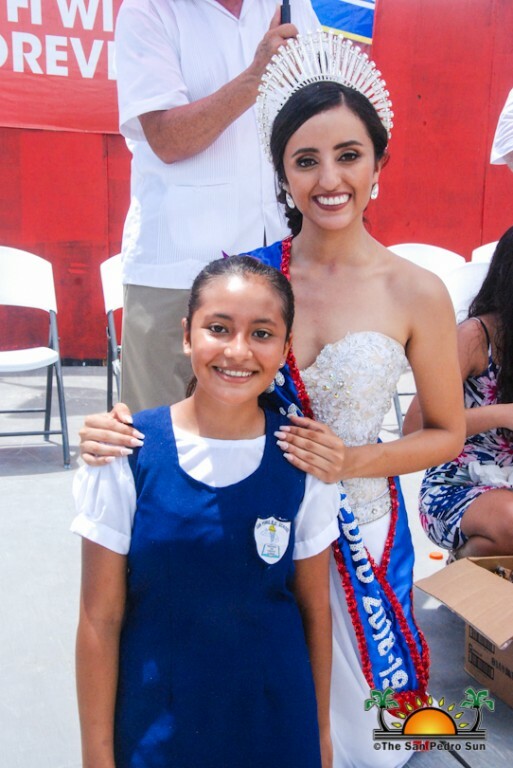 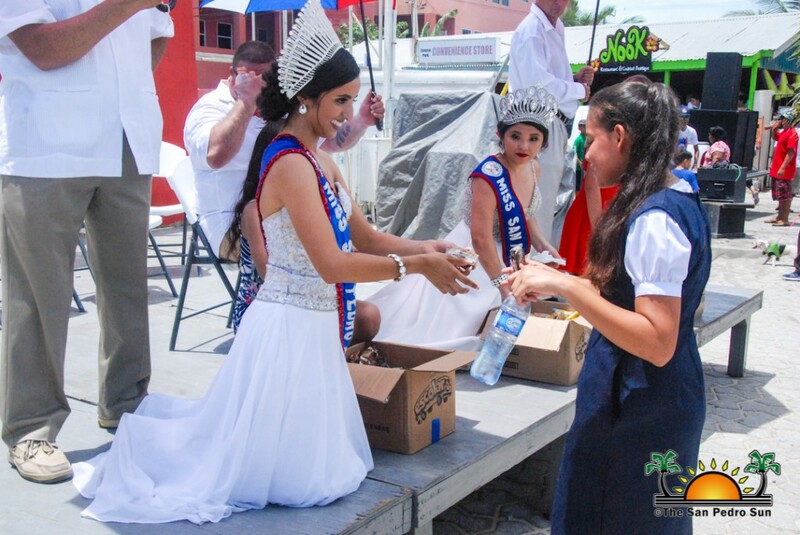 After the ceremony, Muñoz along with the contestants of the 2018 Miss San Pedro pageant joined the uniform parade through the streets of downtown San Pedro. 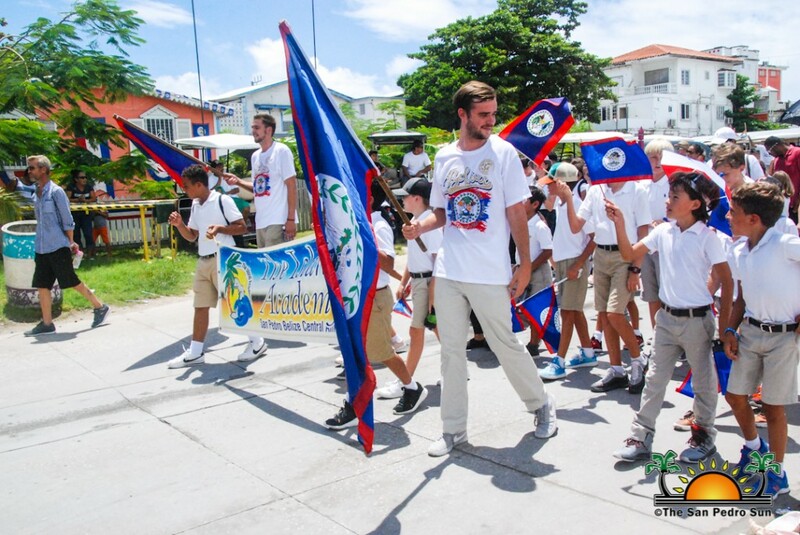 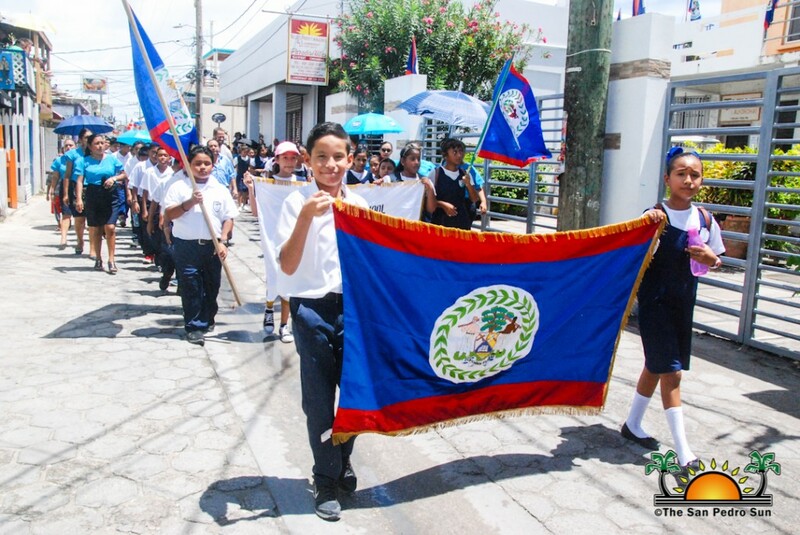 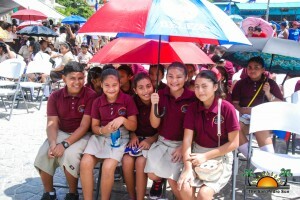 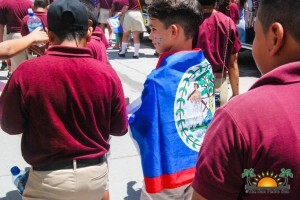 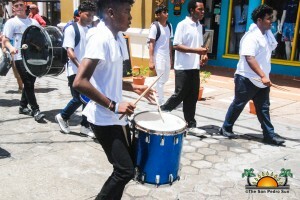 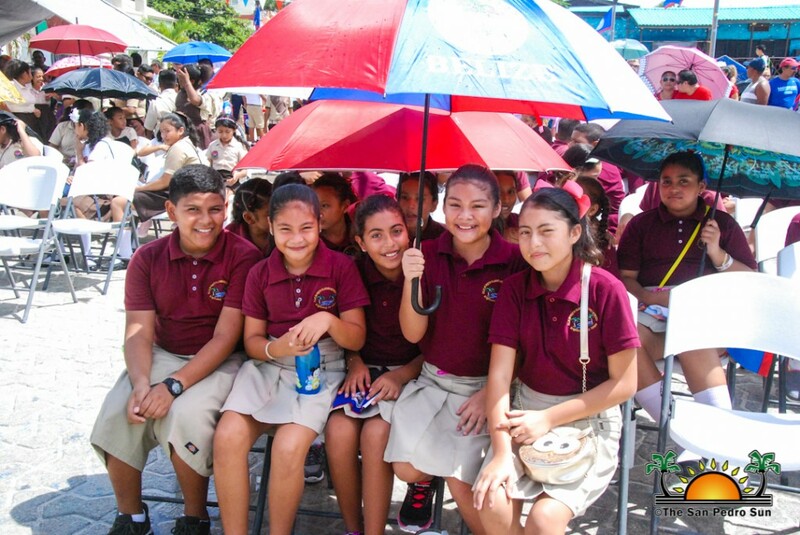 Students, along with friends and teachers, proudly waved their Belizean flags while others sang and danced to the beats of marching bands. 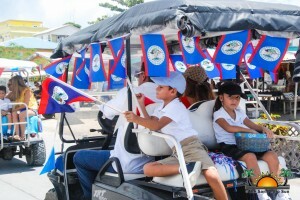 Hundreds of islanders cheered and followed the parade, which ended at the Central Park. 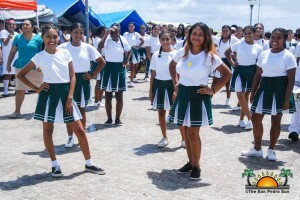 There, the festivities ended with a beach party. 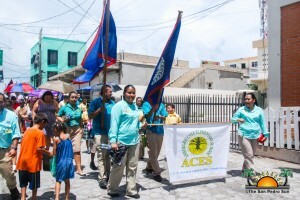 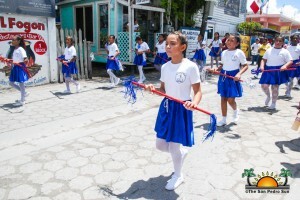 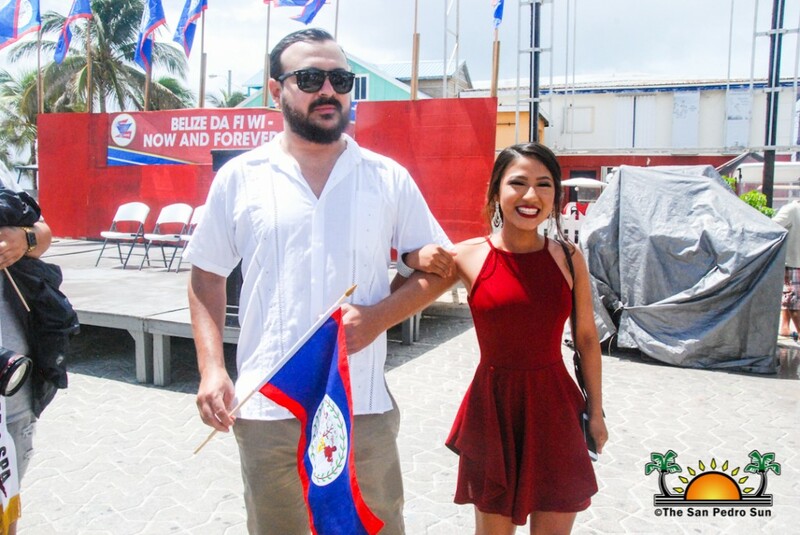 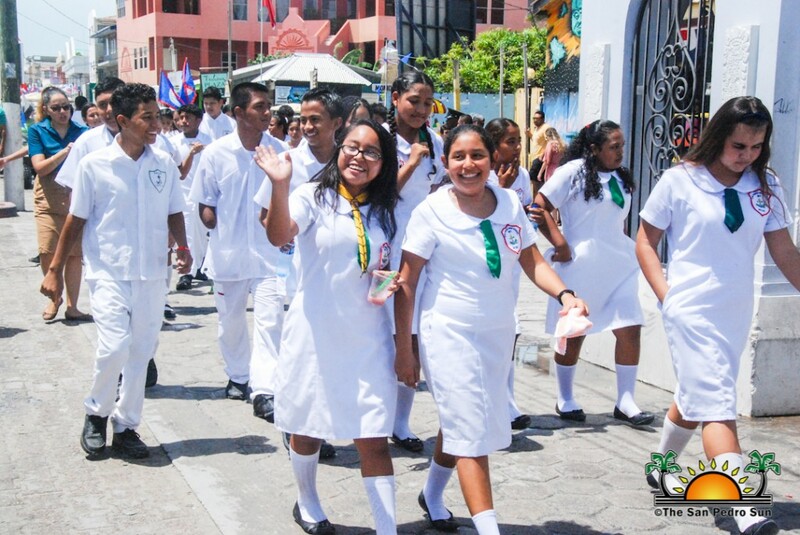 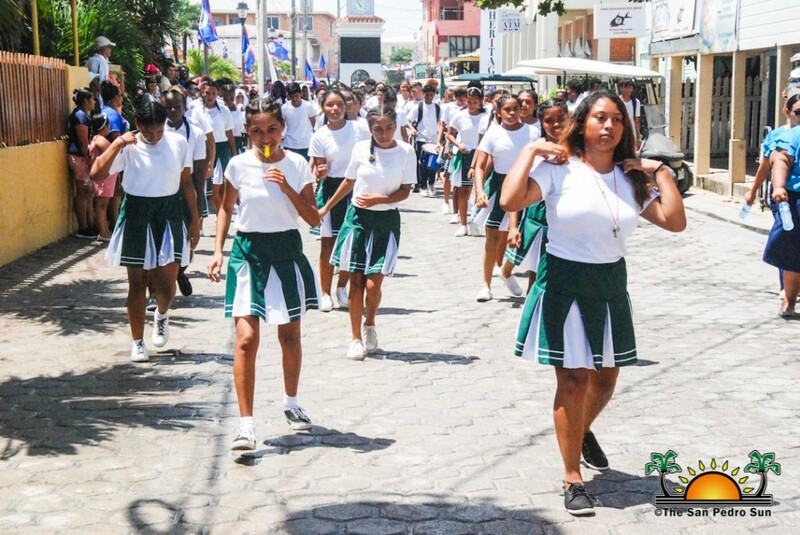 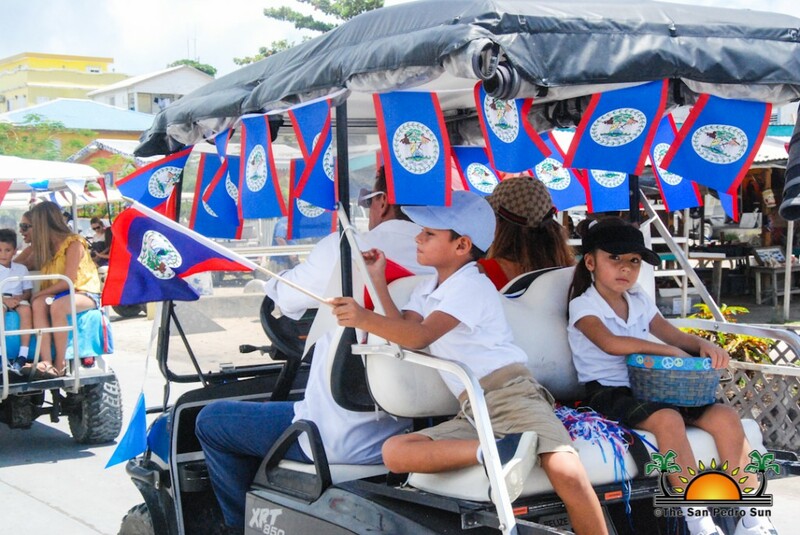 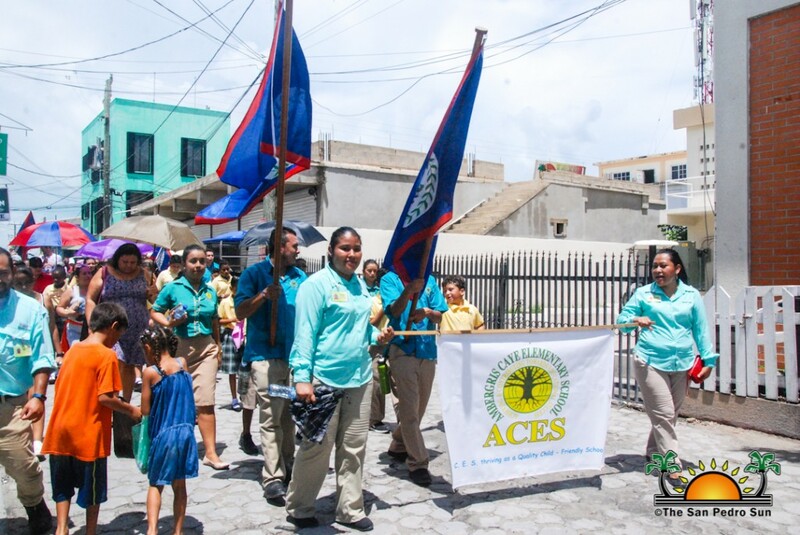 Islanders and Belizeans across the country are now looking forward to the next big celebration scheduled for Friday, September 21 st , as the country celebrates its 37th anniversary of Independence. 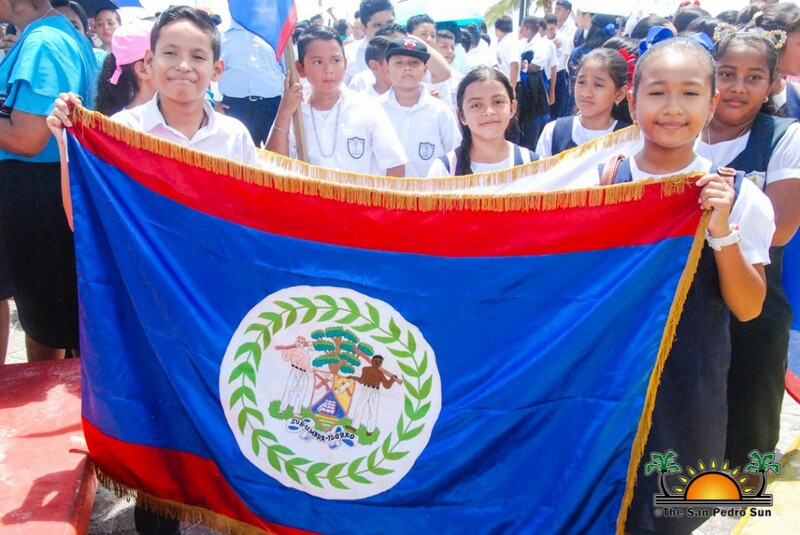 Long Live Belize, Hip Hip Hurray!